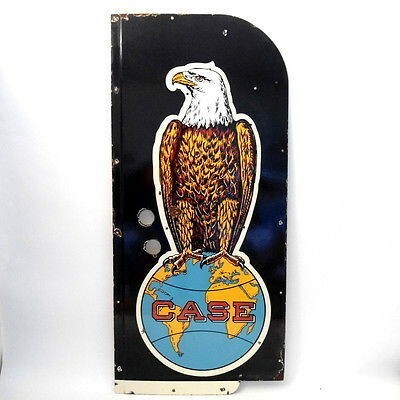 Case was a popular company with some high selling signs. This sign is more common, though. It measures 37″ by 17″ and features a great design of an eagle sitting on top of the globe. The sign is a rectangle, except for the upper right hand corner, which is rounded. The background color is black and the only text on the sign reads “Case” in red letters.